A principal shares his ideas on leading during challenging times. As the calendar turns to August, school leaders across the country are meticulously planning for the upcoming year. This process has become more difficult as mounting challenges such as budget cuts and what seems like a relentless attack on the profession of education have taken their toll on staff morale. With this being said, quality leadership becomes even more essential in order to cultivate a school culture whose primary focus is on the learning and achievement of each and every student. Here are some of my leadership strategies for making change during challenging times. Please feel free to share any other ideas in the comments section below. Each day we are afforded an opportunity to make a positive difference in the lives of our students through our role as education leaders. Our passion for helping all students learn and assisting staff in their growth should be the driving motivational force to make our schools the best they can be, regardless of the obstacles. Everything is changing -- the world, learners, job market, technology, access to information -- the sad reality though is that schools are not. We need to be catalysts to drive this change! Tip: Meet with your administrative team and teacher leaders prior to the start of the school year to identify issues where excuses routinely arise. Begin to map out collective responses focusing on positive solutions to these problems. Begin by articulating a clear vision to your staff. The consensus has to be that every student can and should learn. Getting your entire staff to embrace this concept is at the heart of effective leadership. I prefer to use the word "embrace" rather than "buy-in" -- a more commonly used word synonymous with change efforts. We should not be trying to sell our staffs on pedagogical techniques and other initiatives that will better prepare our students for success once they graduate. In order to promote the embracing of new ideas, strategies, and techniques we need to collaboratively work with staff to transform traditional classroom environments into vibrant learning communities where all students are authentically engaged. Tip: Engage your staff in a brainstorming session during the first faculty meeting in order to develop a collective vision on how to transform the school for the betterment of all students. A vision begins with talk, but will only become reality with action. As society evolves due to advances in technology, we as principals must ensure that instruction follows suit or we run the risk of our schools becoming irrelevant. By irrelevant I am referring to our ability to prepare students with the skills to think critically, solve problems, demonstrate learning through creation, and compete in a global society. As instructional leaders, it is our primary responsibility to observe and evaluate instruction. With this comes the responsibility to ensure that teachers are provided the freedom to take risks, knowledge of effective practices, resources to make it happen, and flexibility to incorporate innovative teaching strategies. With these parameters in place, principals must then be able to consistently identify, foster, support, and promote 21st century pedagogy. 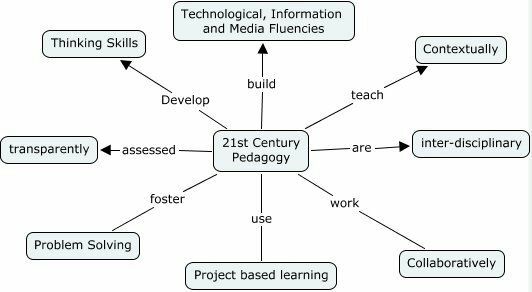 Inherent within this shift is the need to re-evaluate the curriculum as the real-time web and information age present new challenges to instruction and student engagement. The time is now to lay the foundation to ensure that our students evolve into critical consumers of content, understand the importance of digital citizenship, as well as possess the ability to create, analyze, and interpret an array of media messages. Tip: Start the year off by gathering key stakeholders to collaboratively revise your curriculum to emphasize essential skills necessary for today's learners to excel beyond your walls. Most teachers cringe when they hear the words "professional development" and rightfully so. The traditional model utilized by many schools forces educators into structured silos based solely on district and school goals while ignoring staff interests and passions. PD can be inspiring and fun when people are free to follow these interests and develop their own support communities. Tip: If you thirst for an innovative culture focused on student achievement, begin the process of transitioning to Professional Learning Communities (PLC's). To take it a step further, model and encourage your staff to form their own Personal Learning Network (PLN). Then step back, give up some control, and watch your staff thrive as their passion fuels a transformation of the teaching and learning culture at your school. Change begins with a no-excuse mentality. Don't waste one more minute pondering what could be. There is a revolution going on right now in learning, and it is up to us to lead the way. Please share any leadership strategies that are making a difference in your building.